I have a wife, Tracie, and two daughters, Heather and Lara. I design industrial electronic instrumentation for Delta Controls Corporation; in Shreveport, La. I am a graduate of Louisiana Tech University with a B.S. in Electrical Engineering. When no one else is listening, I play the saxophone, flute, and recorder. I also have a Casio DH-200 digital horn, a Casio DH-280 digital horn, a Yamaha WX-11 and WX-5 wind controller, a Yamaha VL70m synth, and an Alesis NanoSynth that I have a lot of fun with. 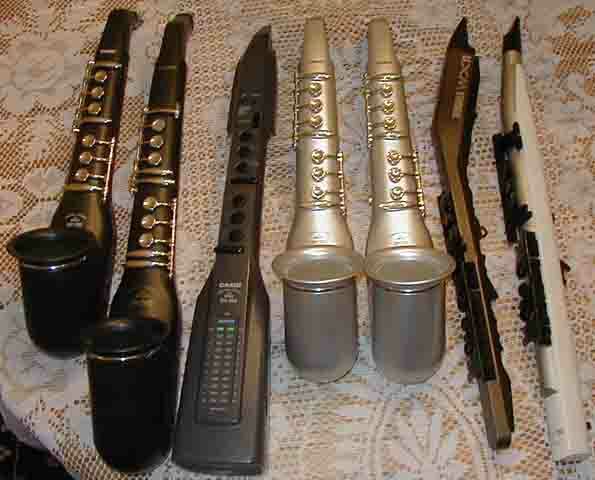 I collect simple flutes and recorders. I also play flute and Baritone Saxophone in the Prevailing Winds, a community band in the Shreveport / Bossier City area.